It can’t push you out of bed or force you to finish your conditioning run, but the revolutionary new MyRun by Technogym is clever enough to become your closest ally as you strive for fitness excellence. Are you in the market for a new idea that does more than light up the circuitry in your brain because it manages your fitness programme in ways you have not yet experienced? If you are nodding your head yes, make time to introduce yourself to MyRun by Technogym. 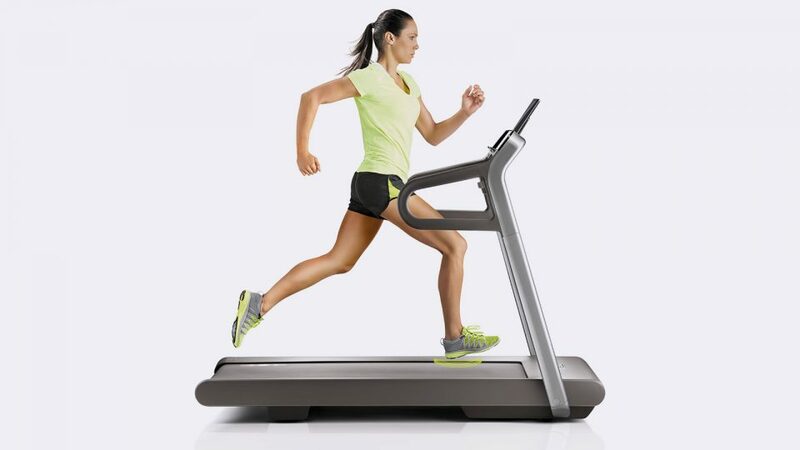 This is no ordinary treadmill; it's the answer to your desire to become the runner you are meant to be, and now that MyRun is available for sale, this product, designed for home use, could move to the top of your “must-have” list if you’re a serious running enthusiast eager to improve even more. Not your ordinary treadmill by light years! You could call it the “designer” treadmill that is capable of changing the way you exercise at home but you certainly won’t call it a run-of-the-mill machine because once you learn the ins and outs of operating this exercise aid, it will have become so attuned to your unique needs, someone would have to come in and completely reconfigure it to meet the needs of someone else. The instant feedback you need and want — whether it’s from your boss, your coach or your best friend — is the signature feature of the MyRun. With each footfall, the quality, quantity and efficiency of your performance is monitored and improved, so whether it’s the unique music soundtrack that you require to motivate and drive you forward or the innovative settings on the programmable console that’s app-interfaced, even a lacklustre performance will be recorded so you don’t repeat your mistakes a second time. Like a suit tailored to skim your body, MyRun adapts to you in the same way. Data storage is seamless and eye-opening if you’re the sort who works assiduously to improve with every workout, and you wouldn’t be the first MyRun treadmill owner to give the unit a nickname once the two of you become intimately connected! Is the MyRun intuitive? It may feel that way. When the Technogym Research Centre began developing this treadmill, they approached the project with admirable, complex goals. Engineers and industrial designers knew that it wouldn’t be easy to produce a treadmill with futuristic components like the running rate (patent pending) function based on an algorithm that produces immediate feedback to whomever walks the platform. With every step, circuitry collects data and delivers your stride length, displacement and cadence in real time so you are consistently aware of your safest and most efficient stride. All the while, your body responds to these read-outs yet you experience minimal displacement and body mass centre movements. Does this machine know your body better than you do? Don’t be surprised if you feel it does! When you invest as much time, effort and thought on the development of a state-of-the-art treadmill with so sophisticated a brain, that equipment requires superior attention to detail. The adaptive surface on which you move can sense your running and/or walking gait and pattern and tailor itself to your progress. Receive feedback in the form of recommended cushioning mix (both dampening and rebound) and the responsiveness to which you are treated is at the heart of this machine’s functionality. For example, as you work out, the computer brain assesses your moves and responds accordingly, by softening the surface so your body accommodates dramatic shocks with less trauma. One of the major benefits of this surface adjustment feature is minimising the risk of injury, especially for beginners. In other cases, expert runners who have been at it for years and desire a more competitive surface to respond to their needs will enjoy excellent rebound and maximum push-off. Also read: Uniqlo's New Blocktech Technology Re-Defines Rainy, Windy Running Days! We weren’t joking when we insinuated that the MyRun is unlike anything on today’s market. Gotta have bells and whistles, right? When judges on the 2015 Red Dot Design Award, IF Design Award and ADI Design Award panels were asked to consider MyRun's innovative features, they were impressed enough to award prizes related to the equipment’s ability to turn a runner’s rhythm into a customised music soundtrack. You read that right. The Running Music Function responds to your pace by searching your tablet for the proper tune to keep up with your footfalls. As you progress, music transitions effortlessly to match your tempo and you don't have to lift a finger to be treated to music selections that are perfect. Does this mean that you’ll have to put up with nonstop music that — as clever as this feature may be — isn’t always desired or wanted? Of course not! This is a smart treadmill after all, and while MyRun doesn’t actually read your mind or figure out your intentions, it will respect your need for silence and treat you to a smooth and quiet run, even if you’re racing along at a rate of 20km per hour. Why choose MyRun over less-intuitive treadmills? Because not every treadmill is fun and this one hits all the fun notes! Your personal needs and goals shape the functionality of your MyRun. Employ your MyRun app to tap into innovative training programmes you can’t find elsewhere. No more wasted energy; the Wake Up Sensor intuits your presence so the unit starts up on a dime. MyRun won’t harm the environment thanks to low energy power consumption of less than 0.5W. The footprint ratio is extremely efficient; expect 55-percent usable space on the surface. Run just five minutes after set-up thanks to the machine’s proprietary Fast Installation feature. Track your personal statistics via the MyRunning Logbook. Engineered by one of Europe's premier fitness companies with a 30-year track record, Technogym. Comparable to the most advanced professional treadmills on the market, yet designed for the home. Available in Stone Grey and Cosmo Black with sleek silver embellishments and fittings. Improve the way you run forever as a direct result of owning and using MyRun. Impressive instrument panel brings the world to your eyes and fingertips with a single touch. Designed by runners for runners who won’t compromise on functional excellence and cutting-edge design. What would stop you from acquiring the space age treadmill engineered to improve your performance dramatically? Space? Money? Fear of success? We’d love to read your answer.